Miriam Manela, OTR, is the director of The Thrive Group, her private practice housed in a unique sensory gym. She has received advanced training in Neuro-Developmental Treatment (NDT), Sensory Integration, Attachment Theory and Reflex Integration. Miriam is also a certified Reiki practitioner and Therapeutic Listening™ Provider. Today she is the legislative co-chair of the New Jersey Occupational Therapy Association (NJOTA) and is also the former representative for the representative assembly of the American Occupational Therapy Association (AOTA). 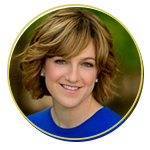 In addition to her private practice, Miriam is known for her workshops and lectures for educators and teachers as well as health-care professionals (MDs, OTRs, psychologists, mental health counselors, social workers, substance abuse professionals, and others). In December, 2013 Miriam received the WCBS-AM & Cancer Treatment Centers Women Achievement Award. Miriam has been awarded Top Doctor’s in New Jersey award four consecutive years. Miriam uses a creative blend of proven techniques to help her clients overcome behavioral, academic, social, and physical challenges while providing a safe space where children can feel free to be themselves as they explore and grow. Miriam believes in listening to and working closely with parents and caregivers to help them achieve a healthy, responsive, and mutually satisfying parent-child relationship.